I’ll give you the secret, in my book, Fascinate. You can buy your copy anywhere you want (Amazon, airport store, Barnes & Noble, or your local book shop). Just send your receipt in the form below, and get these awesome bonuses for ordering. Create better ideas, faster with Brand Jumpstart. Brand Jumpstart: Use this handy guide in your next brainstorming session, meeting, or copy session. If you fascinate customers, they’ll be intensely focused on you⎯ your products, your services, and your marketing. Today, it’s not enough to just interest customers. You need to fascinate them, so that they’re intensely focused on your message. By combining science with creativity, I’ve developed the formula for fascination. And now I’ll share it with you. 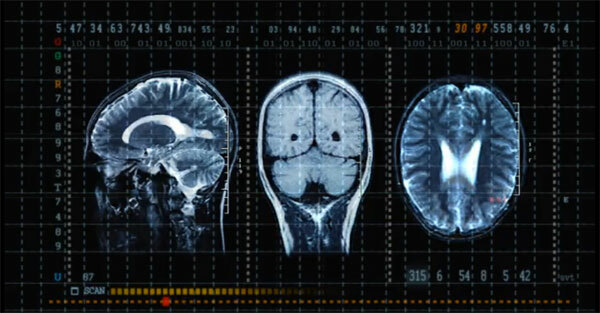 Fascination can be seen through neuroimaging devices. Either have the biggest marketing budget, or, be the most fascinating. If you have the biggest budget, great. But what if you don’t? What if you’re a small business, or an entrepreneur launching a new company? What if you don’t have money to burn? Then you need to fascinate. Part I: Why fascination is the black magic of marketing… We’ll go on a journey through culture and creativity, exploring why Jägermeister is the most popular brand nobody likes, and how a man’s elbows can predict his income. Part II: We’ll go inside the seven ways to fascinate. I’ll spell out the system to spellbinding, so you can harness this instinctive force and turn it into a massive competitive advantage. Part III: How to build a better brand message in an hour. This practical and tactical how-to section will give you the steps make anything fascinating. Until now, great branding required years of study, or a team of experts. But in my decade inside the world’s top brands, I realized that there’s a formula behind it all. Once you know how to identify patterns, you can make any message more memorable. Your brand already has hidden gems. I’ll show you how to find them and highlight them, turning them into irresistible benefits. claim access to your bonus via your email. In the first half of my career, I led national campaigns for brands such as MINI Cooper and Coca-Cola, as well as dozens of startups. After that decade of creativity and market studies, I identified seven different ways to fascinate. Since then, I’ve studied the communication styles of 700,000 people, and built a process to persuasion. Now, I’ve turned the science of fascination into a step-by-step system. You’ve heard of “life hacks” and “growth hacks”? This book is a branding hack – giving you a blueprint to smarter ideas in a shorter timeframe. Fascinate is the fast road map to earn attention in a distracted world. How? 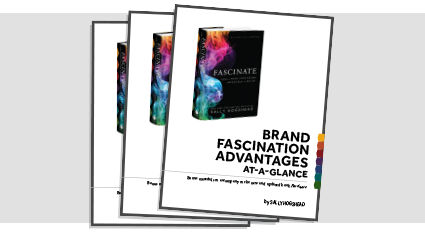 Grab your copy if Fascinate today and claim your FREE bonuses. In this extensively revised and updated edition, I include over 100 new stories and case studies, and practical guides to apply these lessons. Women will spend more to be fascinating than they spend on food and clothes combined. Find out how to make people feel fascinating, and they’ll love you for it. Fascinating brands can charge up to 400% more for the same product. Once I point out key advantage, you can increase your revenue without increasing your budget. Fascination is a neurological state of intense focus. Different is better than better. Your business can focus on being better than your competition—and end up being a commodity. Or, you can be different. In a distracted world, the ability to earn and keep attention is a massive new competitive advantage. Your brand already has one top advantage. You don’t need to invent it, just use my system to find it. You can make ANYTHING impossible to resist. Your customer’s brain is built to be bewitched. The secret is to know the system. And there is a system. 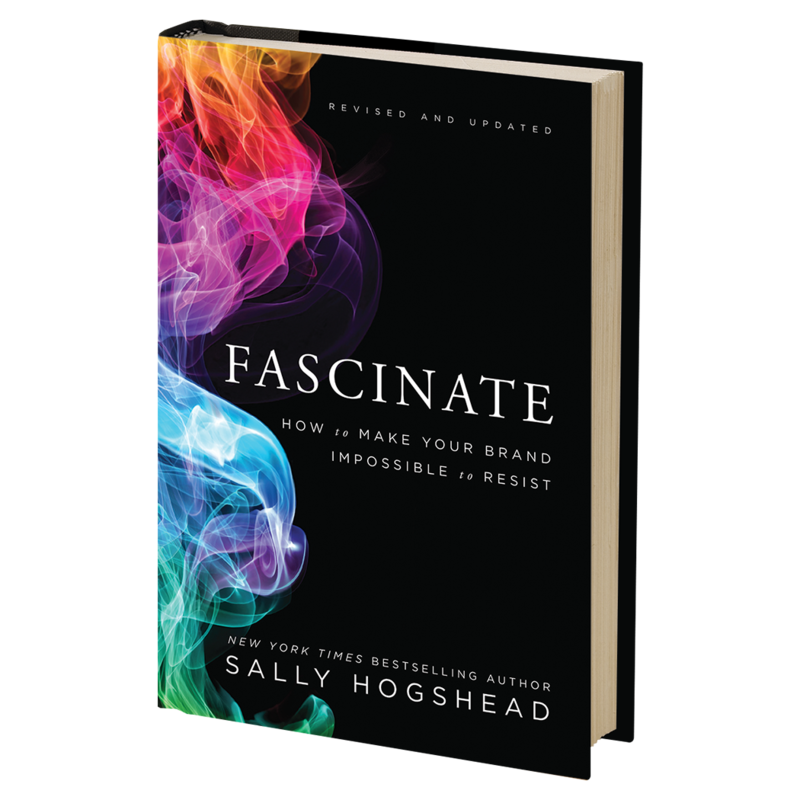 Get your copy of Fascinate today and claim your free bonuses. Sally Hogshead skyrocketed to the top of the advertising profession by age 24, becoming the most award-winning advertising copywriter in the U.S. Her campaigns for brands such as MINI Cooper, Nike, Godiva and Coca-Cola have fascinated millions of consumers. One of the “Top 10 Brand Gurus in the World” in 2015, she went on to measure 700,000 consumers with the science of fascination. Hogshead appears in media such as the “TODAY” show and “LIVE with Kelly and Michael,” and has been featured as one of the top five speakers in the U.S. Hundreds of corporations and small businesses use the Fascinate system, including Twitter, IBM and Porsche, as well as universities such as NYU. Her previous book, How the World Sees You, is a New York Times and Wall Street Journal bestseller.